A refreshing experience for guests in the cozy hotel. Hotel Ridhi Sidhi welcomes guests to style and comfort and a refreshing opportunity to make the most of their stay in Indore. 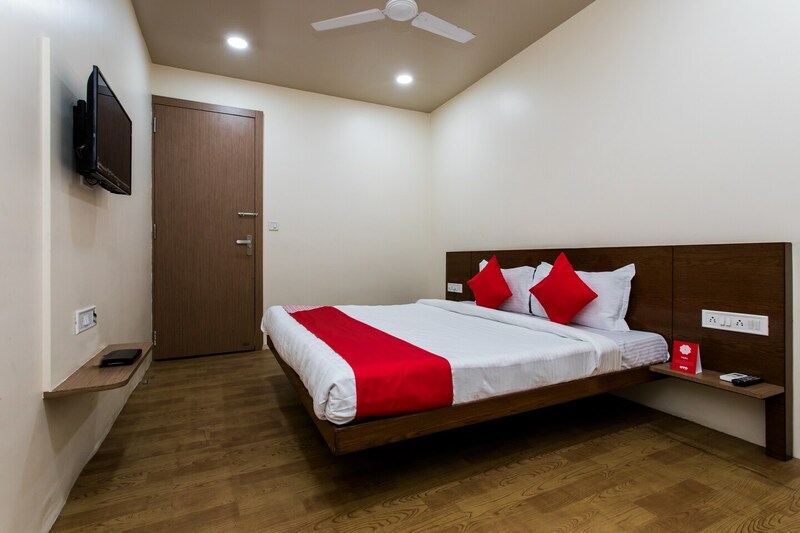 The rooms are simple and warm with eye-pleasing decor, and modern and comfortable furnishing adding a luxurious vibe ensuring a pleasant and peaceful stay. The bright cushions make the space attractive. Guests are entitled to use the free-wifi facility and stay connected with the internet for latest updates. Power backup and CCTV cameras are available, ensuring the safety of the guests. Located at an ideal location in the city, it is only a short distance away from all major markets and tourist spots like Rajwada Palace, Digamber Jain Kaanch Ka Mandir, and Bada Ganapati Temple.